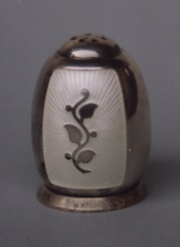 this salt and pepper set is composed of two salt cellars, two spoons and a pepper caster. 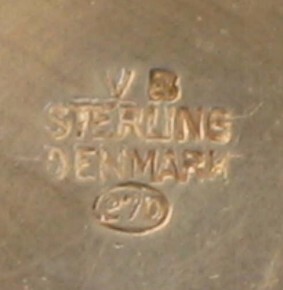 The set was made in Denmark (silversmith VB) circa 1930/1940. 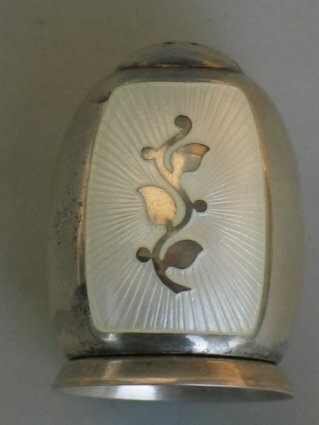 It is made in sterling silver with white enamel floral motifs. 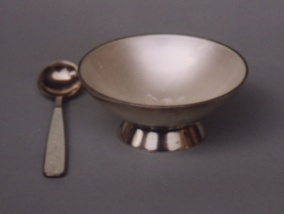 The salt cellars are 2 in. wide (cm. 4.5) and the pepper caster is 2 in. high (cm. 4,5). 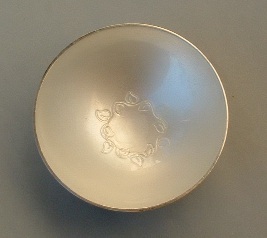 The set was bought from an US dealer at an Antique Fair in New York.